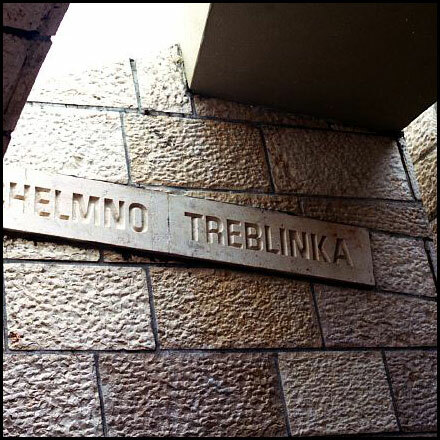 On this day in 1942, the Treblinka extermination camp was opened in Nazi-occupied Poland. 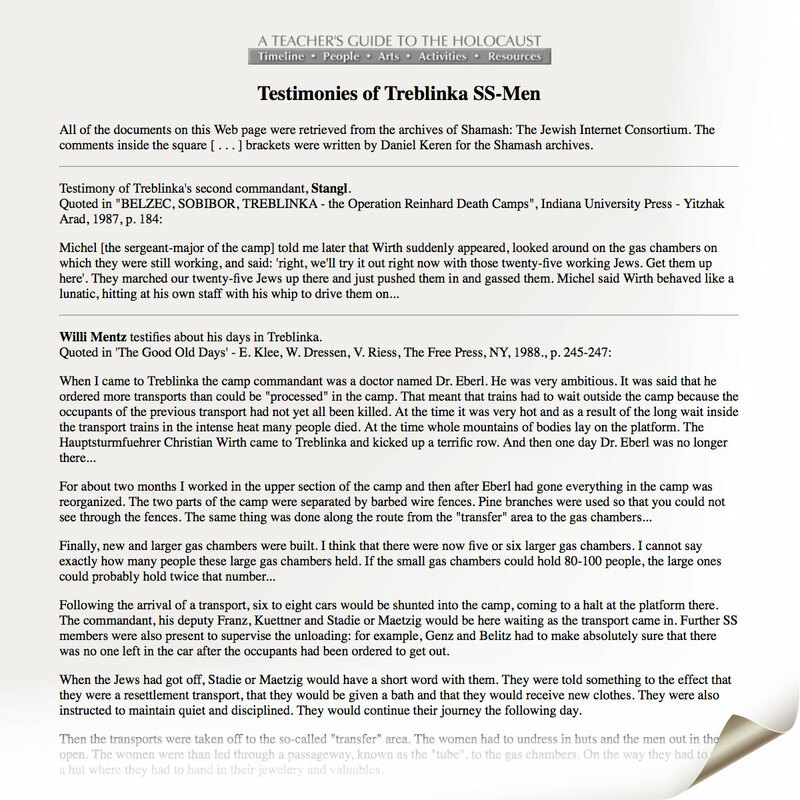 Between 700,000 and 800,000 Jews and about 2,000 Romani people were killed at Treblinka as part of the “Final Solution.” The camp operated until August 19, 1943. 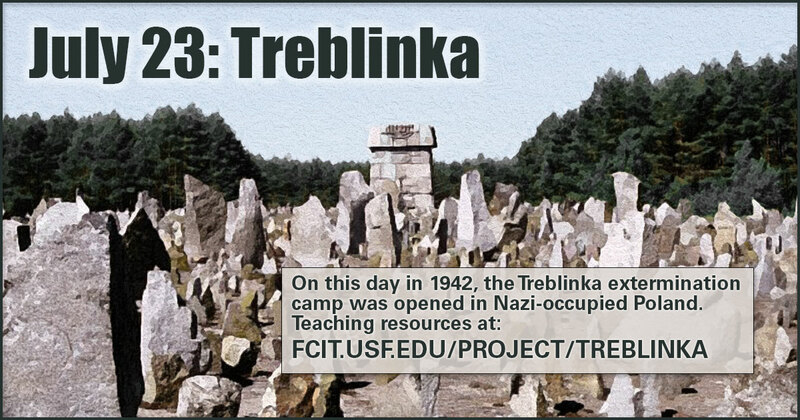 Use this banner on social media to share our collection of teaching resources related to Treblinka. 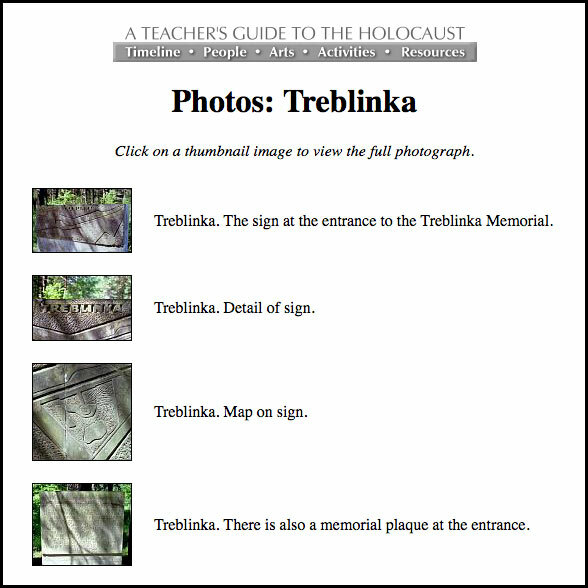 Three dozen photos of the Treblinka memorial site from the Teacher’s Guide to the Holocaust website. The photos were taken in the spring of 2001. The 1,700 stones represent Jewish communities in Europe. 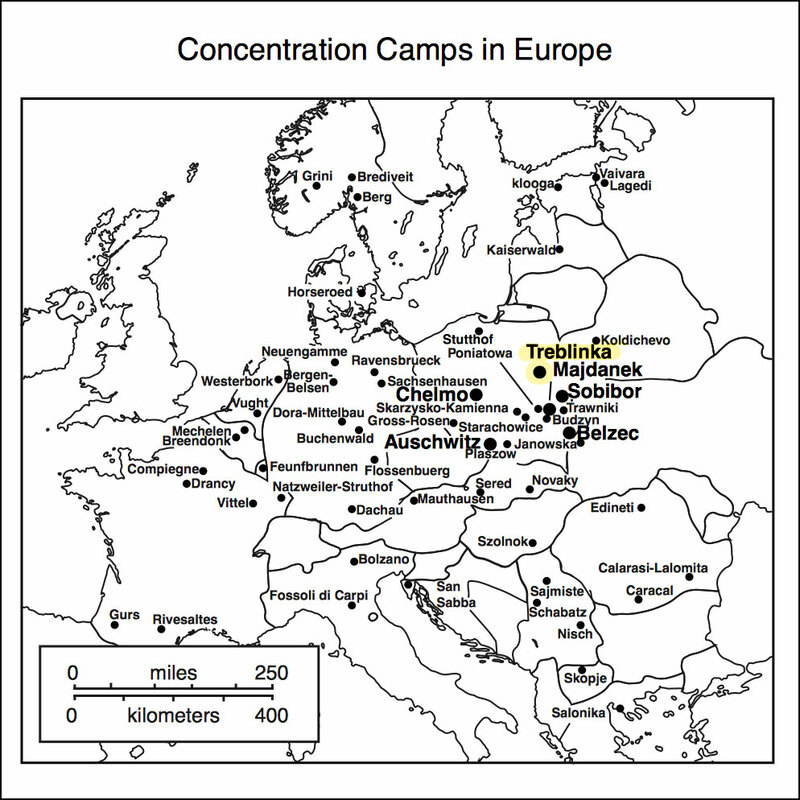 Map of the Nazi camp system throughout Europe, showing the location of Treblinka in occupied Poland. 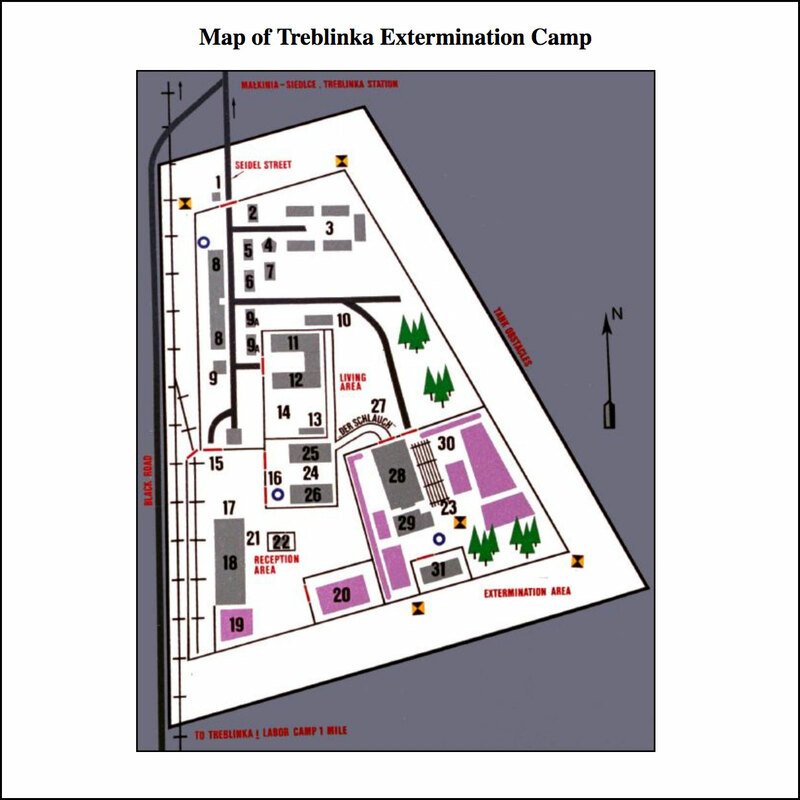 Plan of the Treblinka Extermination Camp from a sign at the memorial. Key provided. 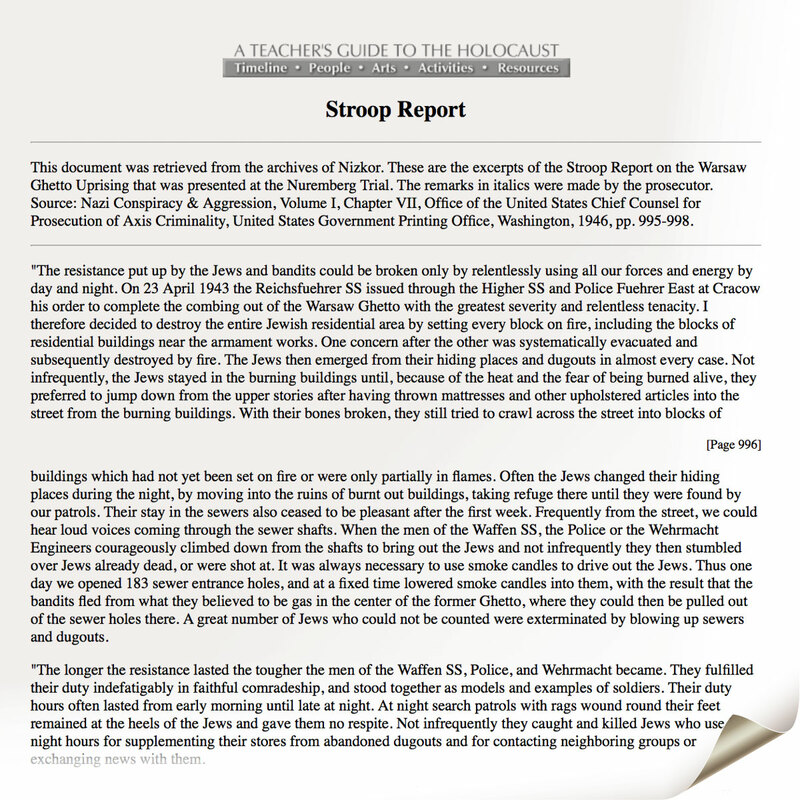 Excerpts from the Stroop Report on the Warsaw Ghetto Uprising. The uprising was the last effort to resist transportation of residents to Treblinka for extermination. 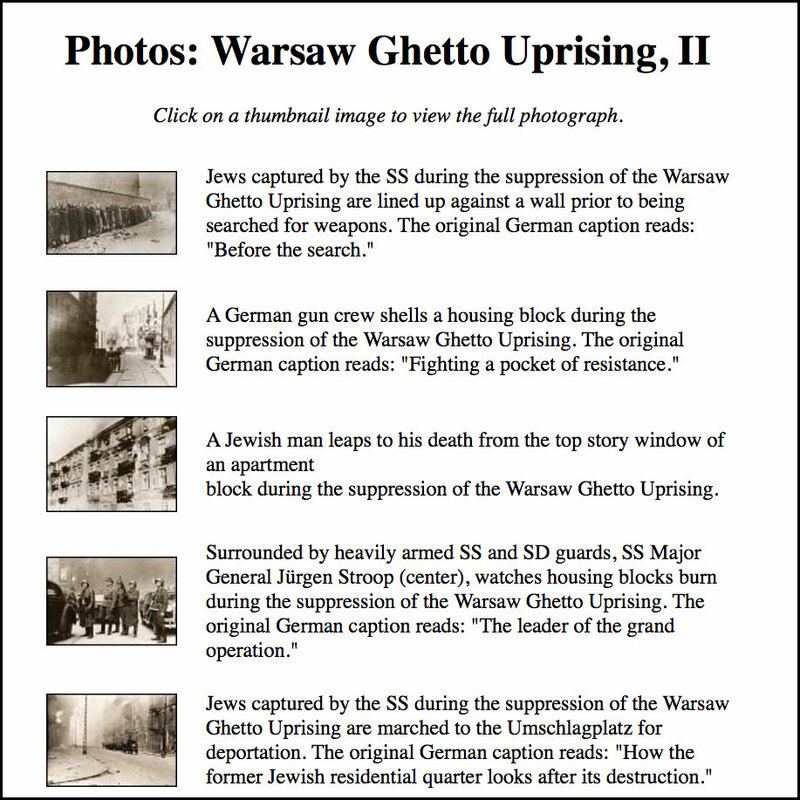 A gallery of photos of the Warsaw Ghetto Uprising from A Teacher’s Guide to the Holocaust. SS-men describe their duties at the Treblinka extermination camp. Treblinka signage along “The Lonely Path” at the Miami Beach Holocaust Memorial. 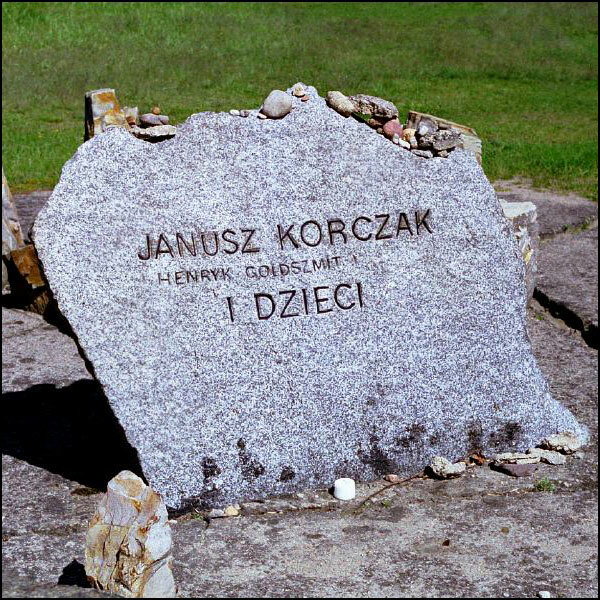 One of the most well-knowns victims of Treblinka was Janusz Korczak. He was the director of an orphanage in Warsaw. When the children under his care were transported to Treblinka, Korczak refused sanctuary and willingly accompanied them to the extermination camp. Only one stone at Treblinka carries the name of an individual. 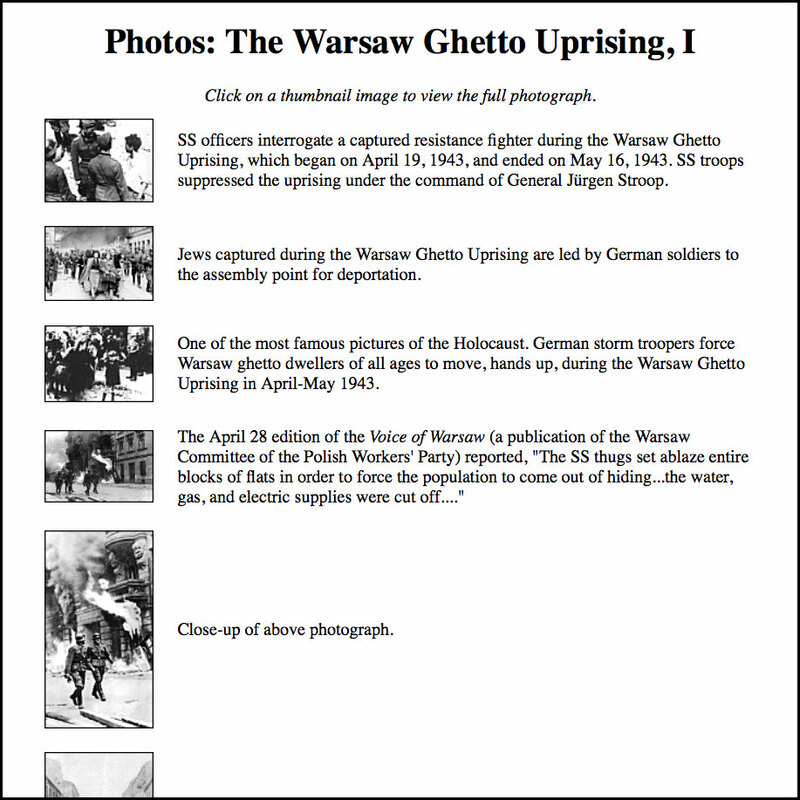 Photo from the Teacher’s Guide to the Holocaust website. 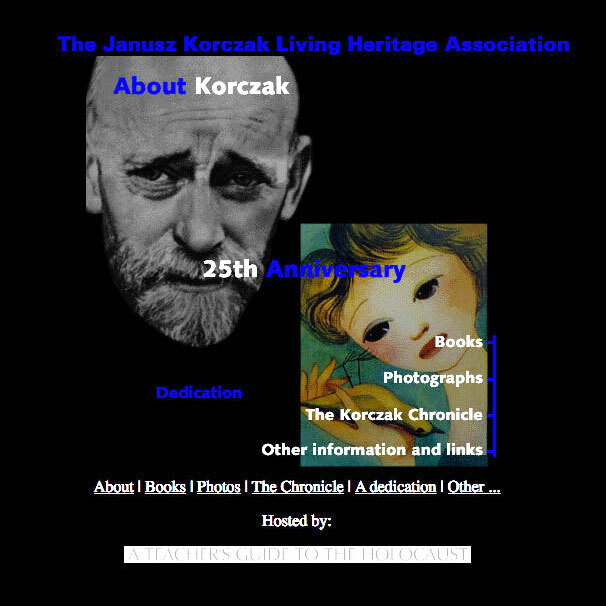 The Janusz Korczak Living Heritage Association website, available in both English and Swedish, contains photographs, a chronicle, list of Korczak’s books, and links to other Korczak resources. 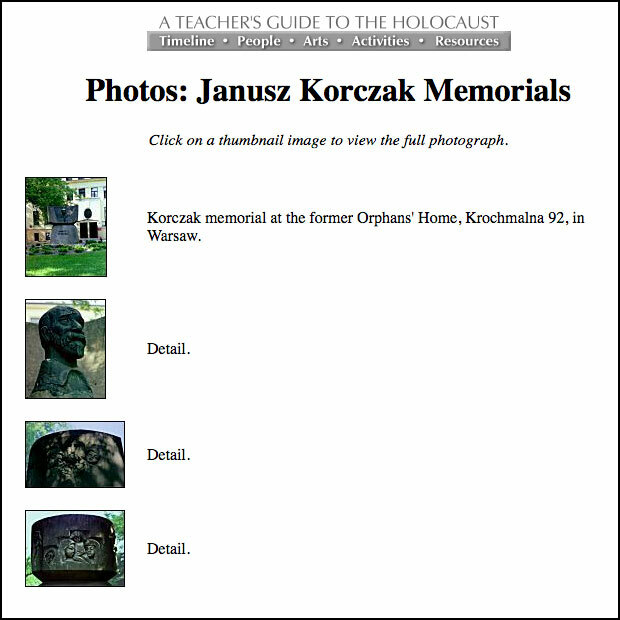 Photos of several Korczak memorials in Poland from the Teacher’s Guide to the Holocaust. 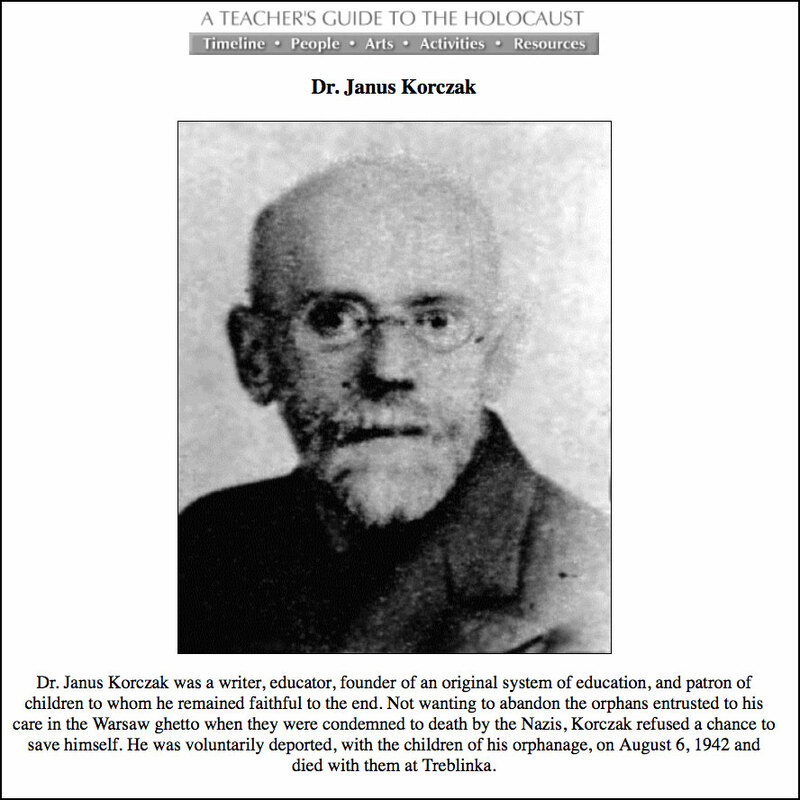 Photograph of Dr. Janus Korczak. 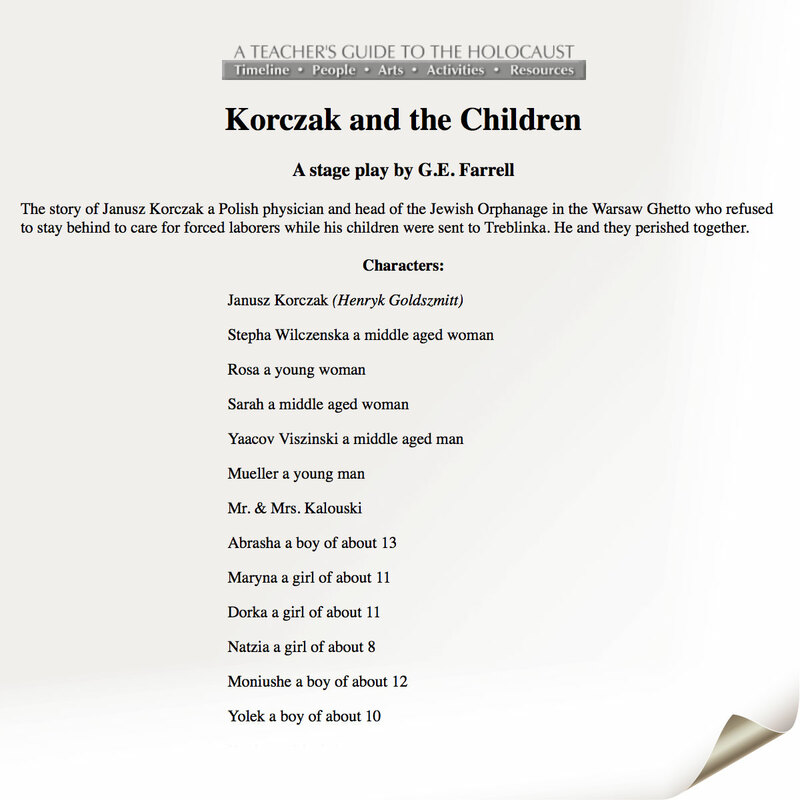 Korczak and the Children is a stage play by G.E. Farrell. 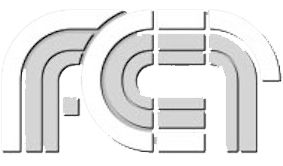 The action of the play takes place in Warsaw, Poland between August, 1939, and August, 1942.